1)Flexible graphite tape is cutted of flexible graphite rolls. 2)Graphite tape filler for spiral wound gasket, In-situ pump and valve gland packing, Manufacture of graphite packing rings. 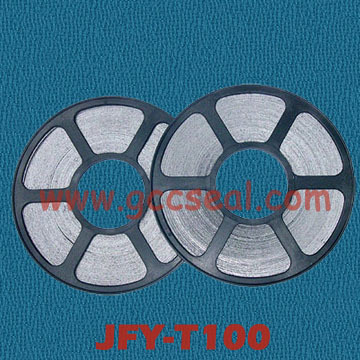 3)Facing material for camprofile type gaskets, Filler for metal jacketed type gaskets. Also manufacture Crinkled Graphite Tape.